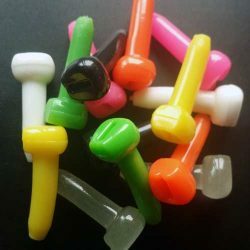 5 pcs per box and available in 6 colours. 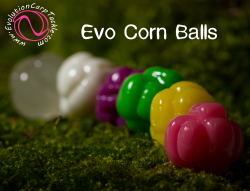 Following on from our Corn Ball Stacks, the Corn Ball adds a whole new series of rig and bait presentations. They are made of the same material as the Maggot Ball and Corn Ball Stacks so they are super buoyant, flexible and tough. Its a Corn Cluster. Kind of round but kinda not… We tested loads of different shapes and this one works best in a couple of ways. 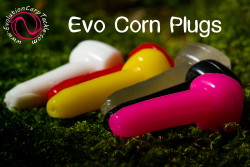 It looks like a cluster of corn. All good, we all know carp love corn. We found that this shape gets lifted up quicker and with less effort when its sucked. 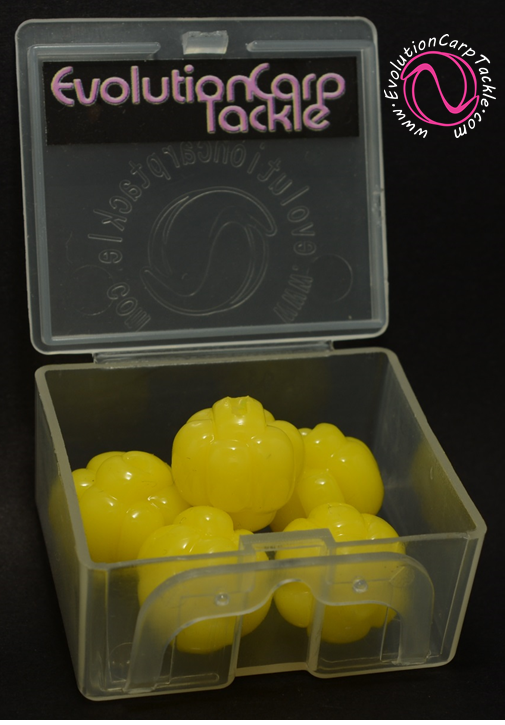 It flies up into the carps mouth further than a round boilie. 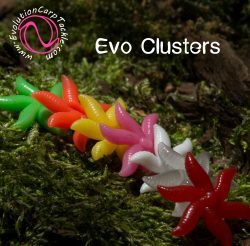 The irregular shape has flats and round corners making it swirl and tumble more as the carp tries to blow it out of its mouth increasing the chance of your hook grabbing. 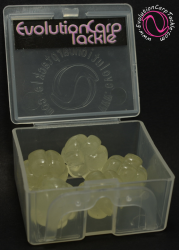 They are 16mm wide to match the most popular boilie and pop up sizes. 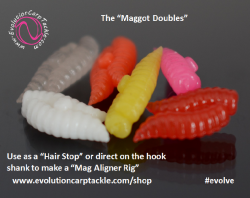 Cut one in half and a boilie to make a beautiful wafter! We had to make a yellow! The Night Glow works brilliantly day and night. Charge it with day light or the LED light on the back of your smart phone for a gentle glow. The purple has become the new favourite colour for loads of you so we couldn’t leave it out. 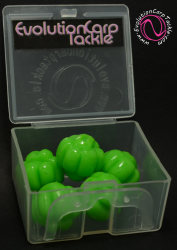 The white is a great attractor colour in clear or coloured water, there is also a vivid green! We have made the pink a bit washed out. Toned it down from the Corn Ball Stacks and Maggot Clusters.